There's something special about vegan dudes who wear waistcoats, suspenders and bow-ties. There's something even more charming about well-dressed gents who also make delicious delicacies that are so amazing they don't even need to add silly animal products to their recipes. 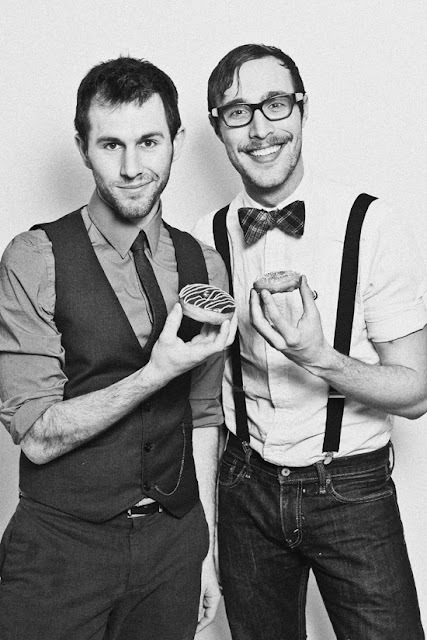 Move over cup-cake lovers - Christopher and Dan, of Dun-Well Doughnuts are two, fine, New York City gentlemen, and they are taking your favorite childhood memories of airy, doughy, flaky, sweet and tender, holey pastries, and adding a respectable, artisan edge to them. They also have a confection to make. They strive to source local and organic ingredients, and plan to eventually include gluten-free options. Bravo! 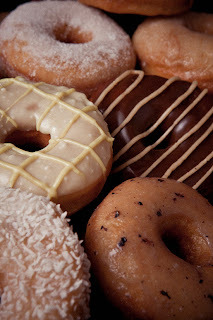 Lula's Sweet Apothecary, will be giving free samples of a very special, made-for-doughnuts, ice cream flavor, and the vegan bar, Pine Box Rock Shop will be slinging drinks.